The reason behind participation of Mr Nawaz Sharif to Narendra Modi’s oath taking ceremony were told as boosting trust with India and friendship but this was severely criticized. Political opponents of Mr Sharif had claimed his visit to India as a personal and family trade visit, however, unbiased elements appreciated his visit as a great step for restoration of relations between two states. Mr Sharif sent Sarhi to the mother of Modi as a gesture of friendship, however, all this went in vain when Modi increased the defense budget of India by 12% upto 22 billion 90 million. Moreover, he announced to end special position of Indian Held Kashmir (IHK) and making it a regular part of India by change in the Indian law. What are the plans of India for not only IHK but Azad Kashmir and Northern part of Pakistan, this can be imagined by the steps taken by Indian Defense Ministry for improvement of capability of army and the lion’s share fixed in the budget. This includes construction of new airbases and up-gradation of existing runways to make them capable for landing of latest KC-130 Hercules military cargo airplane. 22 million have been fixed in the budget as the first instalment for purchase of KC-130 from USA. 14 million had been fixed for purchase of Apache Helicopters, in addition to this different jet fighters will be purchased from France and UK. If we look at Indian war preparedness, 70% of Indian army is deployed along with Pakistani border and Line of Control (LoC). Indian claims that her war plane is focused upon war with Pakistan and China at the same time but basic target of her war plans is only Pakistan. Evidence of Indian war mania against Pakistan is given by threatening statements of Indian Armed Forces Chiefs and unprovoked firing over Pakistani areas adjacent to working boundary and LoC. In his first press conference after oath taking Modi disclosed that he had given green signal to Indian Army Chief to goto any extent against Pakistan in case of infiltration from Pakistani side. 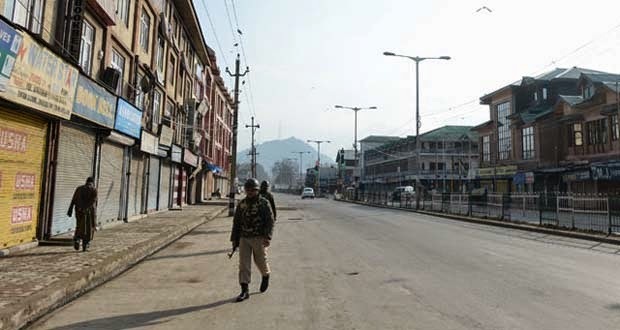 Moreover, just like Israel, India has started acting upon the plan to bring Hindu Pandits from different areas of India in order to counter majority of Muslims in Indian Held Kashmir which was announced in press conference by Modi. For this purpose 5 billion have been fixed. The reports from India reveal that under cover of these Pandits, Modi wants to bring trained Hindu extremists of his party who were used by Modi during Muslim genocide in different parts of India. 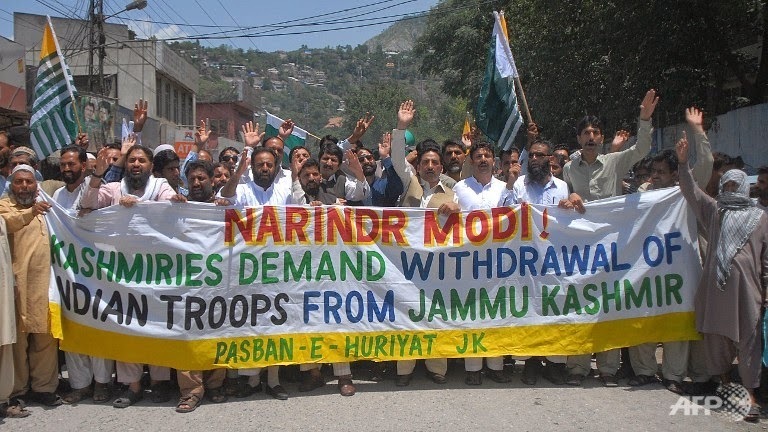 Few days ago when Modi visited Indian Held Kashmir, plan and areas for relocation of these Hindu Pandits were discussed. During this discussion Modi announced to fulfill this plan under his supervision. After this meeting Modi visited Siachen and expressed his hatred and threats against Pakistan, blaming Pakistan Army and ISI. Here it is important to mention that one day before departure of Modi from IHK, Indian army bombarded civil houses in Sialkot sector, destroying many houses a mosque killing 2 women and a man while many were injured and loss of cattle as well. When Pakistan Rangers retaliated unprovoked Indian firing, Indian Interior Ministry issued protest notification to Pakistani embassy while Indian Defense Ministry fulfilled its duties by giving threats to Pakistan. International Media gave special coverage to Indian Prime Minister’s visit to Siachen but they ignored unprovoked firing by Indian Forces over Pakistani areas which has increased manifolds after oath taking of Modi as Indian Prime Minister. UN observers had recorded 150 violations by Indian army in last two years, in which more than 3000 mortar rounds had been fired 70 Pakistani civilians had been martyred while loss of cattle, crops and houses is unrecorded. But after oath taking Modi the situation over Eastern Border of Pakistani serious to violations by Hindu army which is hoped to further increase with the departure of Modi to America next month. 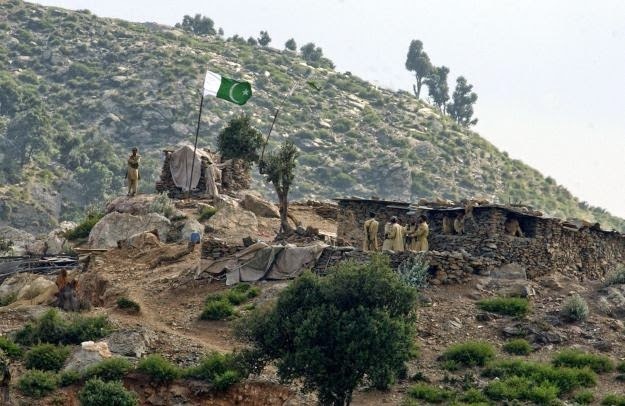 This was the situation on Eastern Border while on the Pak-Afghan border, violations by Afghan army and attacks of terrorists from Afghanistan over Pakistani Check Posts and civilians has become a routine. Pakistani govt. has taken no serious steps over this situation except giving protest notifications to Afghan embassy to Pakistan. This question had been raised in front of NATO and US Commanders that why they do not take action against leadership of Tehreek Taliban Pakistan (TTP) who was conducting terrorist attacks from North Waziristan but after start of Military Operation they have fled to Afghanistan, and conducting terrorist activities in Pakistan from their safe heavens in Afghanistan with the support of Afghan Intelligence agency, Afghan govt. and India. Many Pakistani soldiers had been martyred as a result of these attacks of terrorists from Afghanistan on Pakistani check posts. In such like terrorist attacks over check posts, Pakistani Captain Mujahid Shabir along with 2 soldiers was martyred last month. Pakistan had several times demanded Afghanistan to take steps against terrorists who have fled to Afghanistan after Pak Army’s operation in North Waziristan but just like India, Afghanistan had started defaming Pakistan for firing over Afghan Forces across the border (or attacking Pakistani Check Posts in the garb of terrorists). In the light of Afghan government’s propaganda it is clear that these terrorists are attacking Pakistani check posts with the support of the Afghan govt., NATO and US forces. Pakistani govt. should escalate this issue to international community in spite of just limiting it to traditional protest to Afghan govt. This should be clarified to India and Afghanistan as well that unprovoked firing over border check posts, cross border terrorist attacks will be considered as a war declaration against Pakistan and given befitting retaliation. But this is only possible when there is political stability in the country; this is the only weakness of Pakistan due to which Pakistani public had become target of foreign funded terrorists since last decade. In spite of being a nuclear power GHQ of Pakistan army was attacked by enemy in the garb of terrorists, important defense installations had been targeted in which more than 5000 retired and on duty soldiers of Pakistani armed forces had been martyred. 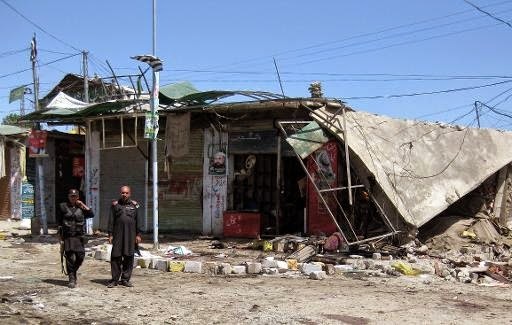 More than 50 thousand civilians had been targeted by these foreign forces funding terrorism in Pakistan in different types of terrorist attacks over mosques, places of worship, markets, public transport etc. but Pakistan army did not attack impatiently over the terrorists hiding in civilians which might had hurt innocent civilians. Alas! International media ignored sacrifices of Pakistan in war on terrorism and gave more weightage to Afghan-Indian propaganda against Pakistan. They were living in fool’s paradise that by defaming Pakistan they will be able to hide the defeat in the hands of Pakhtoon freedom fighters in Afghanistan. Exploiting American interests and weaknesses in the region India had turned situation at western border against Pakistan as well. On the diplomatic level Indian attitude towards Pakistan is based upon stubbornness and aggression. 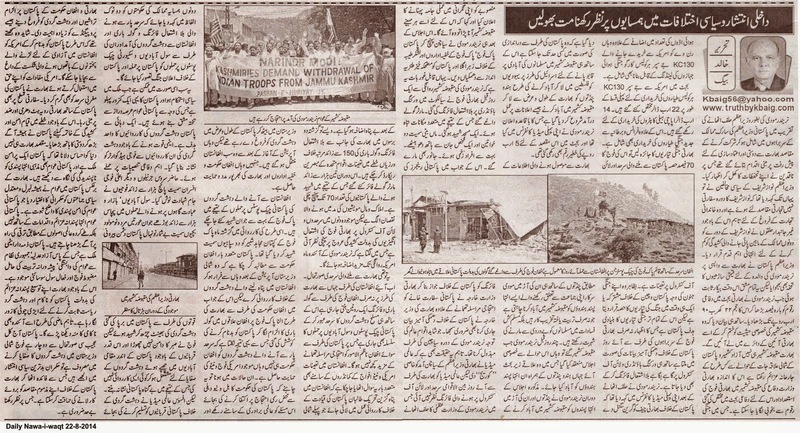 Despite of all this Pakistan always stepped ahead to restore peace in the region. This was aimed not only to realize India but international community as well that Pakistan is a peaceful country and Pakistanis are peace loving nation against extremism and terrorism. In contrast to India, Pakistan nation has always selected neutral and liberal politicians which is evidence of Pakistani love for peace. Pakistani nation does not want to develop by aggressive and extremist aims but through internationally acknowledged rules. Pakistan is a responsible nuclear power which has functional judiciary, public affiliation with democracy, strong army and functional civil society.